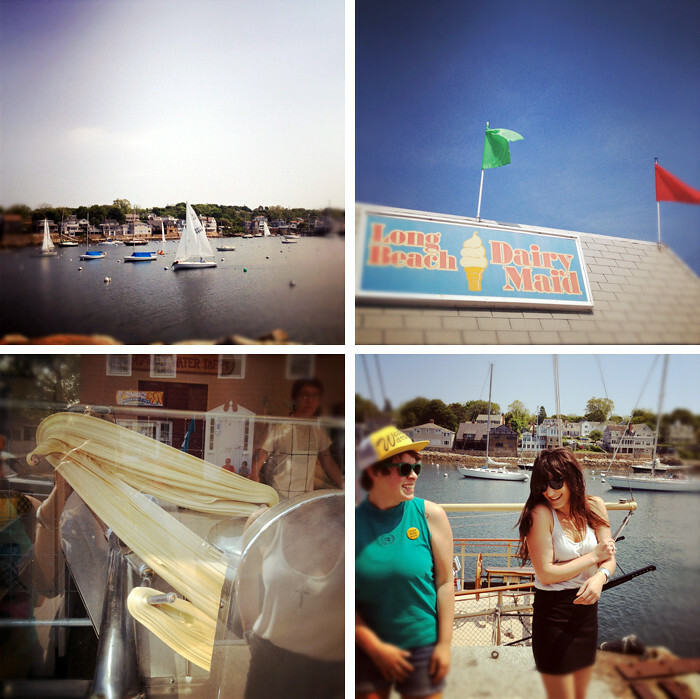 A few pictures from a spur of the moment day-trip to Rockport, MA, with Tara and Jena. Ate the most delicious fried soft-shell crab (could it be? am I overcoming my sea life phobia? ), sunbathed on some rocks by the water, and got chocolate dipped soft serve ice cream. Nom. It was a very good, very maritime-y Monday.